– Track all LINE chat conversations. – Download captured data from your online SpyToApp account. Wouldn’t it be great if you could just know about all of their LINE chat conversations? Are you worrying about your employees wasting their working time on LINE? You want to know exactly what they talked about? 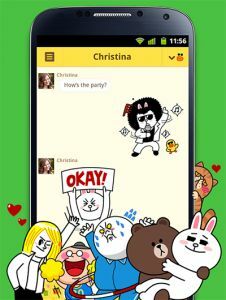 Do your family members using LINE hide their chat conversations? Why choice SpyToApp? – How to Best Monitor LINE Messages On Android? LINE is one of the most popular new IMs with over 350 million users worldwide and still growing, and only SpyToApp lets your spy on their line messages. You can track all their LINE chat conversations along with the text messages and pictures of everyone they talk with – even with groups chats – so you’ll never miss important chat conversations details.